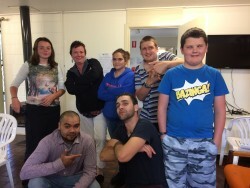 Since July 2016 the Inverell, Glen Innes and Armidale Specialist Homelessness Service (SHS) have worked together to facilitate a hip-hop workshop at the Armidale Youth Refuge. 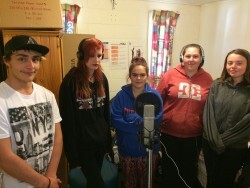 The team brought together young people from Armidale, Inverell and Glen Innes who are members of the Pathfinder Youth Leadership Team to co-write a song about young people experiencing homelessness, the factors that lead to the experience and the significant support and persons involved in making changes. 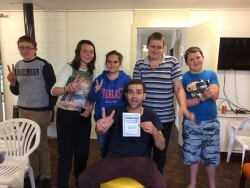 The workshop was lead by Duke Bailey (Glen Innes SHS – and Duke Box hip hop artist) and created a platform in which the young people could express themselves, and identify their own strengths and resilience through sharing ideas, experiences and potential for change. 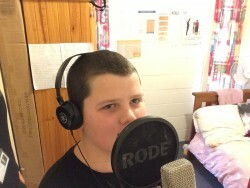 The workshop has been successful in teaming up with hip-hop recording artist Nathan Weatherall from Beyond Blue to assist in the recording and production of the song and through participation the young people’s confidence has grown so much that the group is working toward performing the song at a local event. This partnership has progressed to Beyond Blue looking for further opportunities to work with Pathfinders in the future. The workshop has provided a significant boost in confidence to the young people, and a sense of belonging and mastery through participation, story telling, pride in their work, and knowing that they are not alone and can now reach out via song to other youth whom may be, or have been, in similar circumstances. This project is due for completion in October 2016 and the team will be performing the song at the Armidale Reclaim the Night event.